Cofounder, Endeavour Volunteer Consulting for Non-Profits; Project and Quality Manager, Regional Geriatric Program of Toronto. 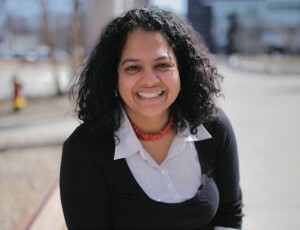 Recently, I had the pleasure of speaking with Tanya (Toni) De Mello, Equity and Diversity Officer, University of Toronto Scarborough on her role at the university and her insights on how an organization could become more inclusive. Tanya De Mello works closely with the Tri-campus Equity Officers to promote inclusion and accessibility within the learning, living and working environments for faculty, staff, and students. On a day-to-day basis, she identifies and fields diversity and equity concerns, delivers training and educational events, and makes recommendations on organization-level strategies / policies / processes to create a more inclusive environment. This campus-wide event boasted the highest engagement of faculty and staff with students in conversations around race on campus. Over 150 people actively participated, Dr. Thembela Kepe gave a keynote speech on his story of surviving apartheid, and several international and local artists from the diaspora and indigenous communities performed theatre, dance and poetry. The dialogue opened up a conversation where university administrators were able to hear ideas from students about ways in which to tackle questions of race and representation at the university. 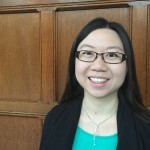 In the last few months, the University of Toronto has announced a Diversity Internship Program to recruit more racialized candidates, the creation of affinity groups for racialized staff, and the collection of demographic race-based data to get a better sense of representation by race. In these two projects, Tanya worked as the lead on her campus to engage faculty and staff (including unionized custodial staff) to identify accessibility features of washrooms and change rooms on campus that would enable diverse communities to have better access to washrooms. For example, disabled communities, parents with children, people that wash before and after prayer and many LGBTQ community members who may struggle with the way washrooms are currently equipped. The Washroom Project sought to understand these needs and gaps better and begin the process of building more inclusive washrooms. For this work, she was awarded the Excellence Through Innovation Award in 2016. Within months of the project, the University of Toronto Scarborough Campus installed change tables in the bathrooms of the two most used building. The university is currently examining the slow conversion of several bathrooms in order to make them gender neutral washrooms. D&I has become a trendy topic and everyone wants to do it because it is the “thing to do”. It is important that there is real commitment to long-term organizational culture change, and not just an exercise in tokenism. D&I is an intangible topic. Many organizations are focusing on using numerical metrics to measure their progress (e.g. the number of women on the senior leadership team). However, to make real progress, we need to look at both quantitative and qualitative data such as “sense of belonging” that could be garnered through satisfaction surveys. Embedding D&I goals within the organization and each staff member’s performance plan. Creating D&I champions in each department instead of having one representative across the entire organization. Oftentimes D&I issues are not considered if the individual is not at the table. For universities in particular, ensure that faculty and staff are reflective of the student population. This is not generally the case in universities across Canada.